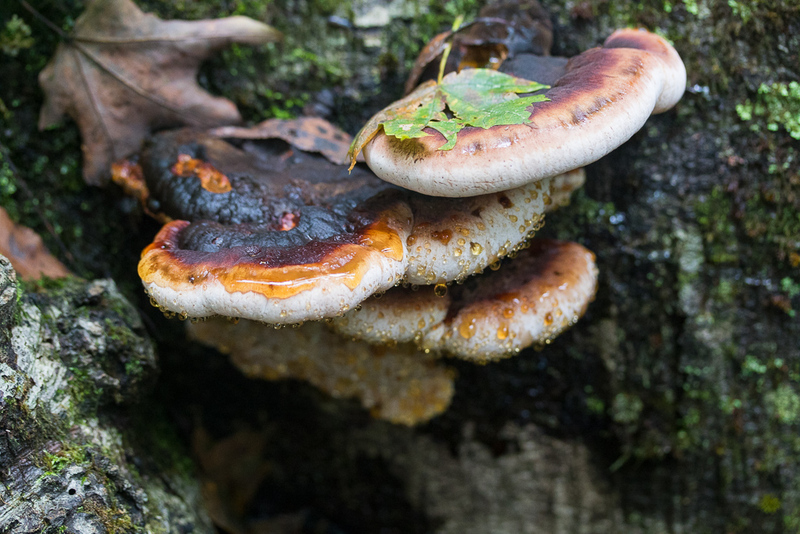 Posted on November 6, 2018 by Jerry Sapp Jr.
Ischnoderma resinosum is not frequently picked but the flesh on young specimens is soft and meaty. In this recipe the mushroom is dried into jerky strips for enjoyment over the winter months. Slice the Ischnoderma resinosum into strips and mix in the marinade for half an hour. Place mushrooms and marinade in a saucepan and bring to the boil. Boil for 5 minutes then turn down to a simmer and simmer for 5 minutes. Strain the mushroom from the marinade and place in a dehydrator at 120-130°F for 6-12 hours, until dried and leathery. The time will vary based on the thickness and sizes of the pieces, so check it often. Store in an airtight jar or vacuum pack.